Zahra Al-Mahdi (1989) is an English Literature graduate from Kuwait University, College of Arts. She is a visual artist, writer, graphic novelist, and filmmaker with notable presence in the Kuwaiti creative community. Her debut graphic novel is titled We, The Borrowed. 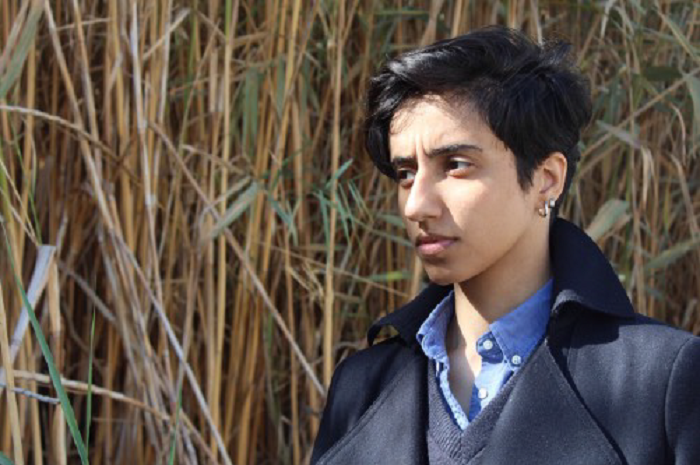 Zahra is currently working on a web miniseries titled Bird Watch, while also completing a Masters in Comparative Literary and Cultural Studies at Kuwait University. In Kuwait, memory is used as a tool to propagate a national collective narrative. With the advent of modernisation, Kuwait became a bureaucratic state. It came to rely on identitarian constructs that stratify society in terms of citizenship, gender, corporeality, sexual orientation, etc. These constructs engender divisive dichotomies: Kuwaiti/non-Kuwaiti, man/woman, original citizenry/naturalisation, masculine/feminine, and so on. As a result, entities in a state of mobility—which do not exclusively fall on either side of the dichotomy—become marginalised on social and institutional levels. During her one month residency in Malta, Zahra will explore the role of memory in rethinking the national historical narrative of citizenry, gender roles and sexuality in Kuwait. As memory stems from an individual consciousness and a collective agency, it is a juncture between the private and the public; the personal and the political. The focus of her work will be on the counter-memories of mobile identities such as transsexual and transgender citizens, by forming points of connection with Maltese multicultural constructs. Her findings will take the form of video installation, a mobility map and models built from animation, sketches, found material, photographs, mixed media images, and other materials. Zahra also hopes to find parallel and intersecting points of connection between the Arab and Maltese cultures. Key to the project is the Arab-Euro fusion in Malta. As part of the Eurozone, Malta is an opulent case of multiculturalism with rich encounters with the Greeks, Romans, Arabs, Sicilians, Spanish, French and the British. And with its history as a naval base and a trade harbour, identities in a constant state of mobility are incorporated into its institutions and cultural production. The aim is to create an installation that provides a platform where the personal memories of transgender and transsexual citizens might destabilise the national memory. Borbála is a curator, born in Budapest, Hungary, and now based in London. Borbála’s recent research focuses on the development of structures found in plants and fungi, as well as certain sea creatures, and explores these as metaphors for social organisation. As social beings as well as economic and ecological factors, we are inseparable from the world around us, and as such, our fate is bound to other living creatures. Borbála’s residency will be an extension of this research, and the accumulation of knowledge will be collaborative, including field trips inviting local artists, curators, writers, and thinkers to participate and talk about their relationship with the island and the sea and its non-human inhabitants. These experiences will unfold in a series of events. Otto Krause and Milan Loviška use performative formats and technologies to question established modes of perception and explore the relationship between audience and performer. Otto is a stage and costume designer for opera, theatre, dance, performance and film. Milan studied contemporary dance, and psychology, and alongside his own work regularly collaborates with artists in the visual arts, music, theatre, dance and performance. During their residency the duo will investigate the furrification and plushification of performative spaces, actions, roles, objects, and events. Similar to fursuiting – the anthropomorphic fetish of dressing in full-bodied plush fur animal costumes by members of a subculture called the furry fandom – the artists dress up performative artefacts in plushy textures. The outcome will be a performance installation with various media, which invites audience engagement and sensorial interaction with these soft forms.